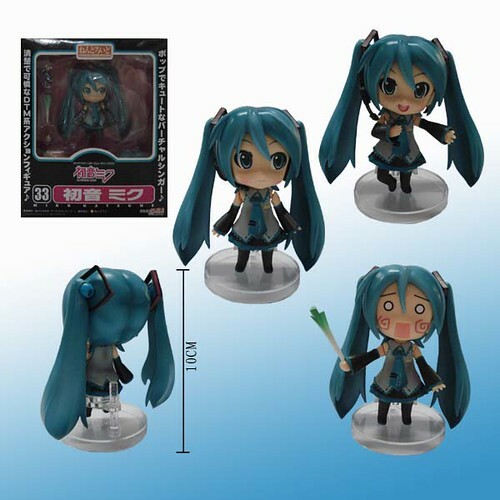 Previously, we have already had a comparison between Nendoroid Hatsune Miku and her bootleg counterparts. 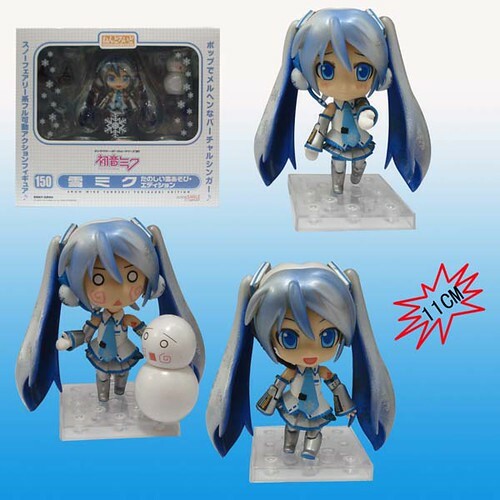 For today’s post, I would like to highlight some popular bootleg Nendoroid out there in a gallery of pics. 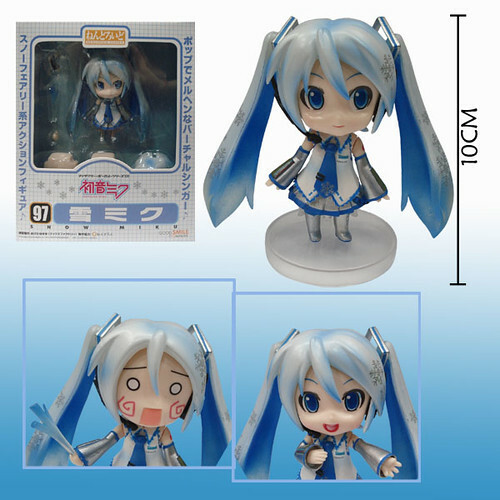 Yep, I just found a couple of photos showing the fake Nendoroid in various pose. Although most of them did not show the details, they are generally good enough as references before purchasing the real deal. 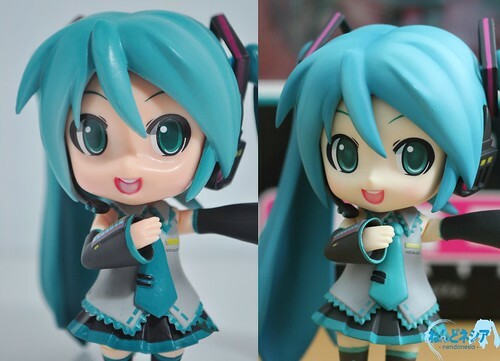 This entry was posted in Photos and tagged bootleg vs genuine, fake, hatsune miku, nendoroid, petit, puchi, vocaloid. Were you take the photos from one of kaskus selling thread? Actually, a friend of mine gave me the pics. Perhaps the pics were taken from the Kaskus thread, but I have no idea about that. 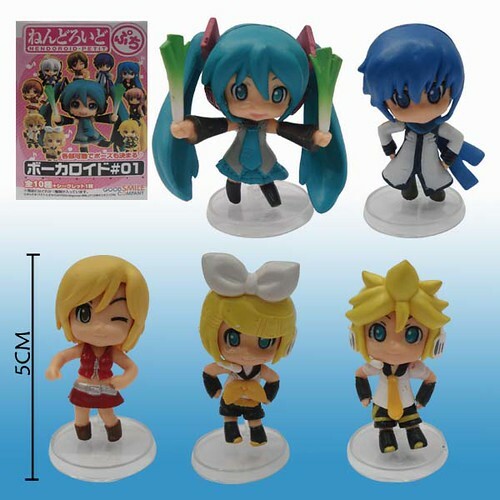 Those bottom ones arent even nendorid Petits , My Sister bought them they are called Trading Figures or somthing. Oh Wait, I see now the ones in the picture look glossier than hers, And different, But theyre not Nendorid Petits. Someone should change that. I don’t know if you’ll get this comment, but here goes. 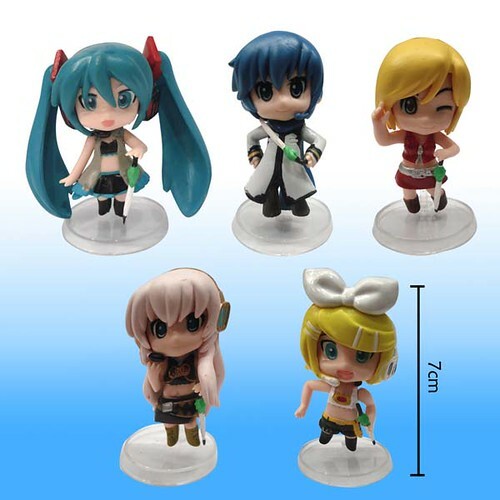 My Luka Megurine Nendo came with a strange stand; it’s like the standard plughole stand, but instead of a jointed piece with two pipes, it’s a single pipe. The rest of the figure, including the packaging, seems completely legit – the skin is glittery but matte, as described, and the paintwork is neat and clean – just this one strange thing makes it seem… suspicious. I got it from a well-rated seller on Amazon, and everything’s in line EXCEPT for this weird stand. If you could help me determine whether it’s a fake, that’d be great. 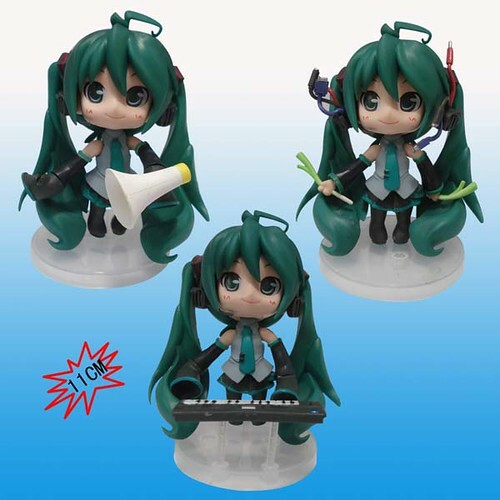 (I also own three other Nendoroid and two Nendoroid Puchi that I’m positive are legit. This one is of equal quality.) Sorry for the long comment! No, it was just the original. I think I know what happened, now, though; it must have been used and they mixed up the stands. 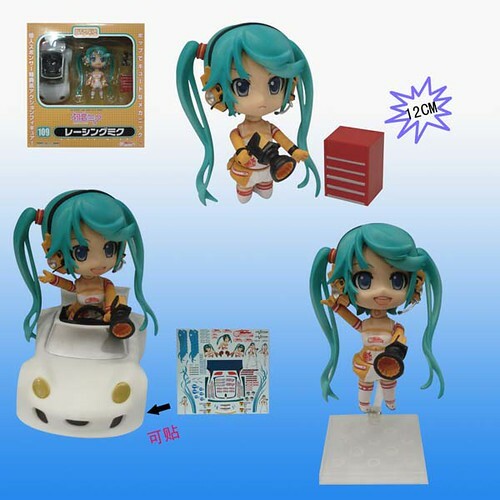 Well, I guess it’s time to go searching for a Luka stand! 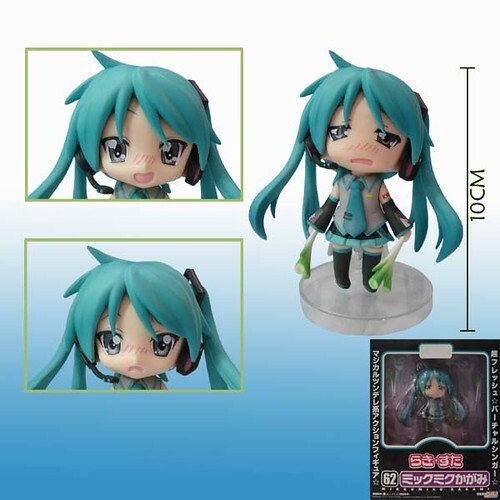 I happen to have a Luka nendoroid myself. I got it from a trusted local figure store, and it was brand new, and absolutely legit. I’m not really sure what you mean by one pipe instead of two, but if it helps to know, my Luka came with a circular base with one hole at the back, a short pole that you connect to that hole, and on top of it a curved piece with a slot along it. The slot holds the back hem of Luka’s skirt, which makes her stand. The base has all the copyrights, including Agoaniki, who created the Double Lariat face, so it’s definitely original. Since this is how she stands, Luka doesn’t have a hole in her back. 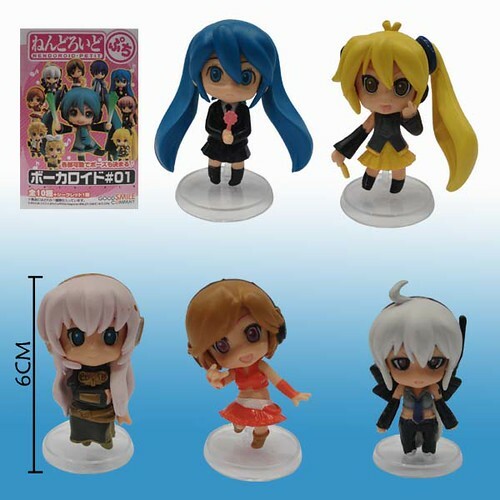 I think GSC modified their stands sometime along, so I’m not sure if the re-released Luka has a different stand. If that’s the case, then mine must be quite old, even though the original and two succeeding rereleases were all in 2010.